At Saudi Aramco, sustainability is an ethos that infuses all aspects of the company – in Saudi Arabia and wherever Aramco does business around the world. For Aramco, sustainability means improving its environmental performance, and the positive social impacts of its operations, while increasing its efficient use of resources, assets, and capital. Aramco’s commitment to sustainable practices governs its corporate and professional behaviour and guides it to conduct business dealings and interactions in accordance with legal and ethical standards. Sustainability steers Aramco’s future outlook, spurring it to develop and implement meaningful solutions to global energy and climate challenges by pushing the limits of innovation and technology – all while being a steadfast contributor to the world’s energy needs. Working responsibly and ethically, Aramco’s continued commercial success is dependent upon meeting the highest standards of business practices. By doing so, Aramco seeks to ensure the continuation and growth of its business, foster new partnerships, and maintain the trust of the communities that host its operations. 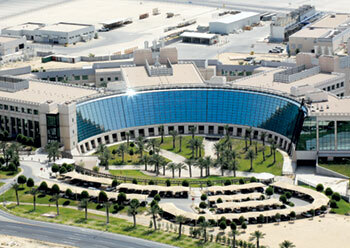 Aramco’s corporate values underpin all its operations and guide its business conduct. They are the basis for a suite of policies, codes, and guidelines that govern Aramco’s employees as they implement the company’s business strategy. These same components shape Aramco’s Compliance Programme that serves as the benchmark against which Aramco measures its performance and that of its partners — contractors, consultants, suppliers, affiliates, and joint ventures within the Kingdom of Saudi Arabia, and globally. Aramco has a dedicated Corporate Compliance office charged with monitoring and supporting its Compliance Programme, and with tracking external legal and regulatory developments. Aramco’s employees are required to review its Conflict of Interest and Business Ethics Policies on a regular basis. Any ethics concerns from Aramco’s employees or third parties can be clarified through the company’s established communication and reporting channels. For example, Aramco’s General Auditor Hotline provides a secure method for anyone to report suspected fraud, unethical conduct, and business irregularities related to its business. Additionally, Aramco’s Supplier Code of Conduct promotes Aramco’s values and extends and maintains its ethical standards across its supplier network, helping enable long-term, mutually beneficial partnerships. Saudi Aramco believes that continued investments in further reducing the greenhouse gas intensity of crude oil and its derivatives will reap benefits for energy producers and consumers alike. Aramco’s R&D programmes address four areas of strategic importance: Sustaining low carbon intensity crude oil, growing non-fuel applications for crude oil, advancing sustainable transport, and driving high-impact solutions. And to address these areas Aramco is harnessing the power of the Fourth Industrial Revolution with technologies that include big data, advanced analytics, and artificial intelligence. For example, Aramco’s Engineering Solutions Centre combines operational data, advanced analytics, and in-house technologies and expertise to monitor company energy consumption and achieve near zero flaring intensity. A study conducted in 2017 and published in early 2018 in Nature Energy examined the well-to-refinery carbon intensity of all crude oil grades supplied to the Chinese market, including those imported or produced locally. In crude oil production and processing, carbon intensity is a measure of the greenhouse gas emissions associated with producing a barrel of oil from the well to the refinery. The study examined crude oil grades supplied from over 100 oil fields in 20 countries and concluded that Saudi Arabian crude oils have the lowest carbon intensity. The low carbon intensity advantage of Saudi Arabian crude oil is a result of multiple factors, including Aramco’s longstanding practices in well completion, reservoir management, and flare minimisation. For example, technologies such as mobility geosteering, multilateral wells with smart completions, and peripheral water flooding, have led to low water production per barrel (or water cut) relative to the depletion stage of the reservoir, which directly translates to lower energy requirements to process and recycle water, and consequently reduces Aramco’s greenhouse gas emissions in oil production and processing. Growing non-fuel applications Aramco is pursuing non-fuel uses for crude oil to unlock greater value, create more economic opportunities, and reduce greenhouse gas emissions. Aramco is collaborating with Sabic, the Saudi-based global chemicals company, on a crude oil to chemicals project. In 2017, Aramco signed a Memorandum of Understanding to pursue the next phase. The project – the first between Saudi Aramco and Sabic, two of the largest economic entities in the kingdom – is anticipated to process 400,000 bpd of crude oil to produce approximately 9 million tonnes of chemicals and base oils annually in addition to transport fuels. Aramco’s own crude oil to chemicals technology programme aims to expand petrochemicals manufacturing by eliminating intermediate refining steps and converting crude oil directly to chemicals. In 2017, Aramco successfully piloted a thermal crude oil to chemicals technology (TC2C) that resulted in higher chemicals yield than previously achievable. Aramco also established a strategic partnership with leading technology providers, Chicago Bridge & Iron and Chevron Lummus Global, to de-risk and scale up this technology. Aramco continued to expand the use of innovative nonmetallic materials, including the deployment of more than 2,300 km of nonmetallic pipes, resulting in significant life cycle cost avoidance across company operations. Expanding applications for nonmetallic materials, including for the automotive, building and construction, packaging, and renewable energy sectors could create additional markets for Aramco’s crude oil and enable potential opportunities for local manufacturers. In collaboration with engine technology developers and major automakers, Aramco is advancing new engine and fuel technologies to reduce exhaust emissions and improve fuel economy – twin goals that help address the global climate challenge and contribute to continued mobility and economic growth. A key research area for Aramco is the development of efficient and affordable fuel engine systems that achieve high efficiencies with very low emissions. 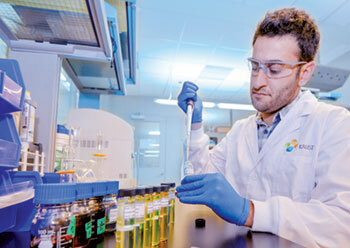 For example, Aramco’s researchers are working on novel technologies that can use low octane gasoline fuels in light-duty vehicles, potentially achieving an estimated efficiency improvement of 25 per cent. Aramco’s octane on demand technology programme, which uses two fuels to attain the necessary anti-knock quality, strives for an estimated efficiency improvement of 8 per cent compared to gasoline engines. In 2017, Aramco completed a vehicle demonstration at Aramco’s Paris research centre with a fully integrated octane on demand system that reduced CO2 emissions. Aramco is also seeing promising opportunities to significantly increase efficiency in heavy-duty vehicles. At its Detroit research centre, Aramco is developing and demonstrating efficient and affordable fuel engine systems that can use low octane gasoline fuels such as Gasoline Compression Ignition (GCI) technology with the potential to lower CO2 emissions. Aramco’s carbon management programmes help support its efforts to address climate challenges, contribute to global energy supply, and enable the sustainable growth of its business. To achieve these aspirations, Aramco is investigating cost-effective and efficient low-carbon footprint technologies, including carbon capture, utilisation, and storage, and improved energy efficiency and energy mix diversification. Aramco’s intent to contribute to reducing greenhouse gas emissions while helping provide the energy the world needs is illustrated by its founding membership of the Oil and Gas Climate Initiative (OGCI). Together, the 10 OGCI members produce more than one-fifth of oil and gas globally, and Aramco’s collective efforts have the potential to reduce greenhouse gas emissions on a significant scale. In 2016, the OGCI announced an investment of $1 billion over the next 10 years through OGCI Climate Investments to develop and accelerate the commercial deployment of innovative low emissions technologies. OGCI Climate Investments announced its first three investments in 2017. These investments deliver on the organisation’s commitments to concrete action to spur the growth of promising low-emission technologies. • A project to design the first commercial scale gas power plant with carbon capture and storage capability Creating value from emissions Aramco see CO2 not just as an emission to be controlled, but as an opportunity to create additional value. Aramco’s CONVERGE polyols technology converts CO2 into cost competitive and sustainable polyols used in a broad range of high performance applications from automobile seating to insulation. Containing up to 50 per cent CO2, CONVERGE polyols have a significantly reduced carbon and energy footprint when compared to conventional petroleum-based polyols. 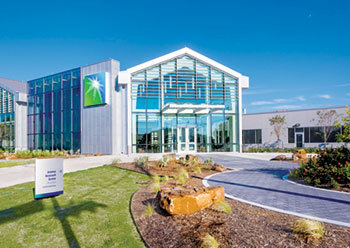 Aramco’s Performance Materials affiliate in the US commenced commercial operations in 2017, selling its first consignment of CONVERGE products in the first quarter of 2017. Aramco’s energy efficiency efforts seek to reduce energy consumption at company facilities, design new facilities to be energy efficient, increase overall energy efficiency, and influence and promote energy efficiency at the national level. In 2017, Saudi Aramco’s flaring intensity remained at less than 1 per cent of annual gas production and it continued progress toward its eventual goal of zero routine flaring. As part of its Flaring Minimisation Programme, Aramco completed the installation of multiple flare gas recovery systems, including at its onshore Safaniyah facilities. In line with its efforts to boost energy efficiency, Aramco’s Energy-to-the-kingdom (E2K) initiative contributed to the kingdom raising its utility sector efficiency to 37.9 per cent by year-end, an improvement of nearly 6 percentage points since 2013. Aramco’s Peak Summer Production Programme provided additional volumes of non-associated gas to reduce the use of liquids in power generation during the summer. In 2017, Aramco displaced 11.5 million barrels of crude oil equivalent, freeing up higher value liquids while reducing emissions. Aramco also continued its collaboration with the Saudi Energy Efficiency Programme to promote energy efficiency practices through awareness campaigns. Aramco’s Lead by Example Programme, established in 2012, strives to achieve a 35 per cent reduction by 2020 in nonindustrial energy consumption in company buildings, transportation, and communities. Phase two of the programme to replace 60,000 fluorescent lights in office buildings and facilities with more efficient LED lighting was nearly complete at year-end. In addition, motion sensor switches were installed in closed office spaces, resulting in a 60 per cent reduction in power usage from office lighting, and 16 power meters were installed in office facilities during the year to monitor consumption. In transportation, Aramco has replaced more than 4,000 company vehicles with more efficient six cylinder models and affected the conversion of nearly 3,000 hydrocarbon tankers operated by contractors from steel to lighter weight aluminium to reduce fuel consumption. In a challenging environment, no one player is able to succeed on its own. Collaboration enhances Aramco’s competitiveness and further enables the expansion and strategic integration of Aramco’s global business. And as Aramco’s business has grown into new markets and products, so too has its collaborative network expanded, encompassing other energy producers, engineering companies, service providers, equipment manufacturers, R&D institutions, and universities. 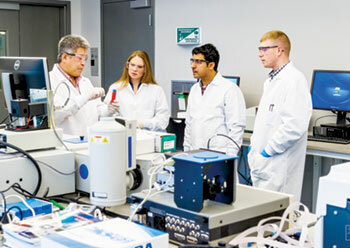 In the kingdom, Aramco engages and participates with key national stakeholders, including the King Abdulaziz City for Science and Technology (KACST), King Fahd University of Petroleum and Minerals (KFUPM), and Kaust in the pursuit of high-impact research and technology initiatives of strategic importance to Aramco’s business. Aramco’s participation centres on initiatives aimed at advancing nascent technologies, accelerating the kingdom’s ability to conduct advanced scientific research, and promoting entrepreneurship and the development of new technology enabled businesses. In a separate project with KFUPM, Aramco is working to establish a world-class Petroleum Engineering and Geosciences College. In 2017, Aramco completed retrofitting a building and the construction of two new buildings to house state-of-the-art laboratories on the KFUPM campus and at the Dhahran Techno Valley Science Park. In Aramco’s local region, it signed Memoranda of Understanding with the Abu Dhabi National Oil Company (Adnoc) and with Masdar, a renewable energy and sustainable urban development company based in Abu Dhabi, UAE. With Adnoc, Aramco plans to collaborate to identify technologies that could deliver improved performance and efficiency across the oil and gas value chain.